SAINT AUGUSTINE – Roy Gutman, Pulitzer Prize winning reporter based in the Middle East for Frontline, will participate in the Forum on Government and Public Policy series at 7 p.m. March 12 at Lewis Auditorium on the Flagler College Campus. The title of his lecture is“From Al Qaida to ISIS: How to Fight Terrorism; How Not to Fight Terrorism.” The event is free. “Force without diplomacy cannot lead to a stable outcome in a crisis zone, any more than diplomacy without force (or the threat of the use of force) can bring change on a crisis zone,” said Gutman. He plans to draw many of his critiques from his most recent book, “How We Missed the Story: Osama Bin Laden, the Taliban, and the Hijacking of Afghanistan.” Gutman will also be explaining that diplomacy is key when it comes to creating sustainable stability; not “bombs and missiles.” The audience can expect him to give examples of how the initial issues which brought forward the unrest, such as security and politics, must be dealt with directly at a more local level. Gutman is the recipient of a George Polk Award and a Pulitzer Prize in international reporting while at Newsday for his reporting on mass killings in Bosnia. As Middle East bureau chief for McClatchy Newspapers, he and his staff won a George Polk Award for uncovering the Syrian civil war complexities. Gutman is the author of several books including “Banana Diplomacy” and “A Witness to Genocide.” He has plans for a forthcoming book on Syria, yet to be titled. 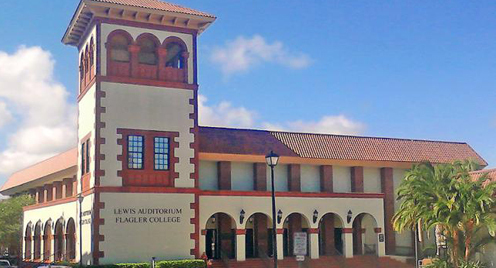 For more than 30 years, the Flagler College Forum on Government and Public Policy has invited nationally-recognized journalists and commentators to St. Augustine to discuss issues of importance in regional, state and federal government. All Forums take place in Lewis Auditorium, 14 Granada St., at 7 p.m.
Forums are free and open to the public, but seating is on a first-come, first-served basis. If you are a person with a disability and need reasonable accommodations, please contact Phil Pownall at 904-819-6460. Sign Language Interpreters are available upon request with a minimum of three days’ notice. Call (904) 826-8617 for more information.